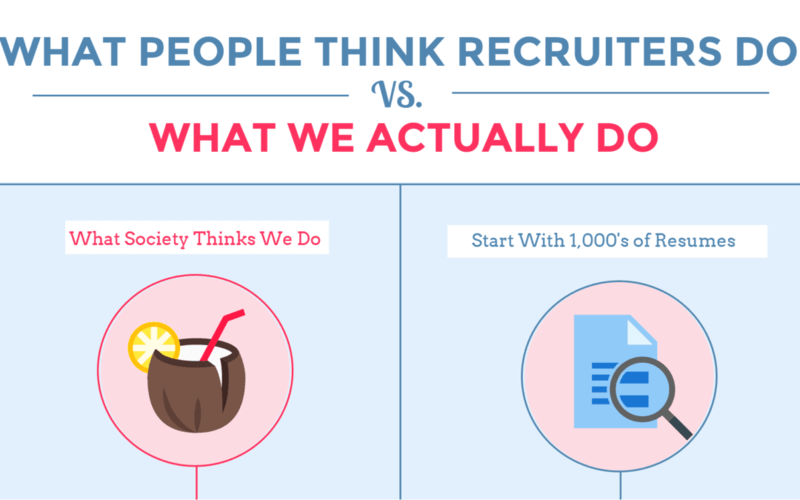 Most people don’t know what a recruiter does all day. There is a misconception that we quickly find one worker to fill a position and move on. The truth is, we become an extension of your company and use a strategic and defined process to sell your company to talent. The sales funnel we use can start with thousands of resumes until we’re ready to send you three great candidates. 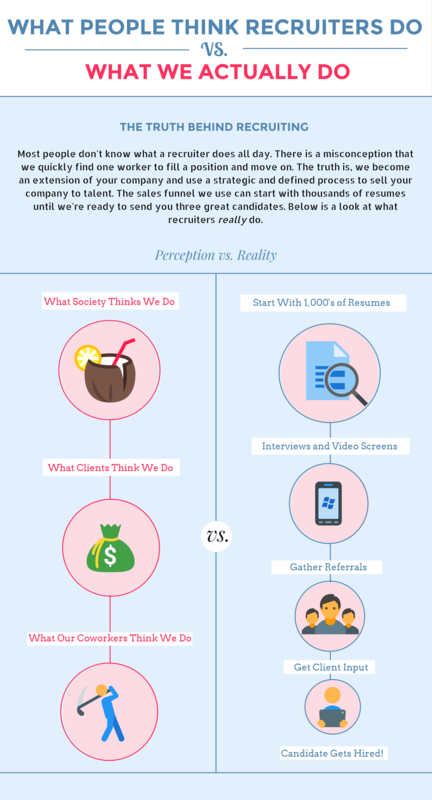 Below is a look at what recruiters really do.